An exceptional and large (circa 2,000 sq. ft.) 3 bedroom, 3 bath/shower room, hall floor maisonette with the added benefit of off street parking and private rear garden, forming part of this high quality and sought after development in a convenient Clifton location. 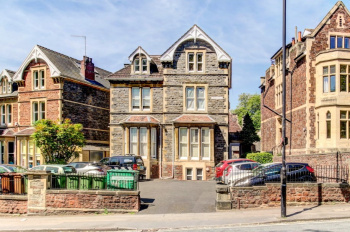 A popular, central Clifton location within a few hundred yards of Whiteladies Road and close to the Triangle, Park Street, BBC and the academic/medical districts. Hall Floor: entrance vestibule, entrance hallway, sitting room, kitchen/breakfast room, cloakroom/wc. Lower Ground Floor: lower reception hallway, bedroom 1 with walk-in wardrobe area and en-suite shower room, bedroom 2 with walk-in wardrobe area and en-suite shower room, bedroom 3, family bathroom/wc. Outside: rear courtyard area, lower courtyard area, parking space, secure storage area. 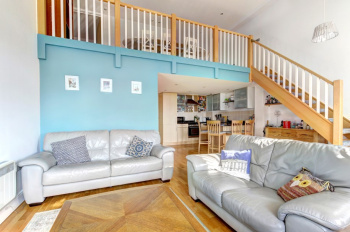 A most impressive 3 double bedroom second floor duplex apartment, of circa 1,290 sq. ft., with light and well-arranged accommodation throughout and secure off street parking. Sold with no onward chain. 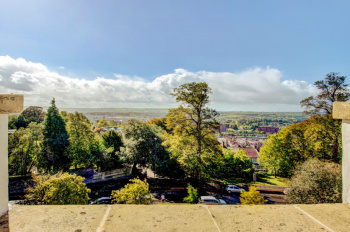 Set in an exceptionally convenient and central location on the doorstep of the hustle and bustle of Clifton Triangle with a vast range of eateries, bars, shops and services. 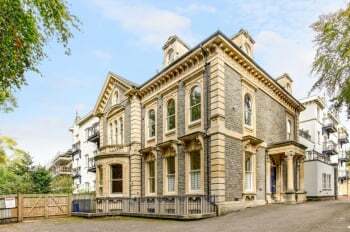 Close to so much on offer - the BRI, Whiteladies Road, BBC, Bristol University are all within easy reach. A stroll to the harbourside, Brandon Hill Park and Clifton Village. Second Floor: reception hall, open plan sitting room and kitchen, bedroom 1 with en-suite, bedroom 2, bathroom/wc. Third Floor Mezzanine: bedroom 3, dining area, study area. Allocated and secure underground parking for one car. A bright and spacious, 3 bedroomed top floor apartment with useful study/occasional 4th bedroom and separate kitchen, set within an elegant Grade II Listed semi-detached Georgian period building abutting Birdcage Walk in Clifton Village with fabulous far reaching views towards Dundry. Accommodation: reception hall, sitting room, 2 double bedrooms, single bedroom (3 in total), inner hall, kitchen, bathroom/wc. Accessed off the communal stairwell there is a study/occasional 4th bedroom. Presented to the highest of standards - a light and elegant grade II listed hall floor apartment of 746 sq.ft. Boasting 2 bedrooms, 2 bathrooms (1 en-suite) and retaining a wealth of period features - ideally positioned between Clifton Triangle and the Clifton Village. A grand apartment with an impressive sitting room which retains an array of period features including high ceilings, fireplaces, picture rails, tall sash windows and working wooden shutters. 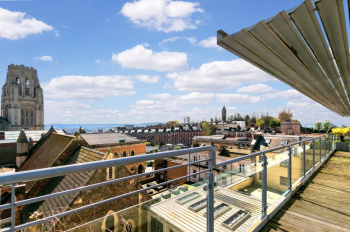 Situated on a one-way street with the benefit of being within 1/2 mile of Clifton Triangle, Clifton Village and Whiteladies Road. 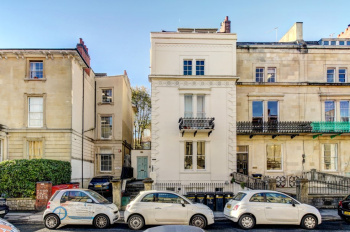 The property is located within the Clifton East residents parking scheme. Accommodation: stunning entrance hall, living room, kitchen, bedroom 1 with en suite shower room/wc, bedroom 2 and bathroom/wc. 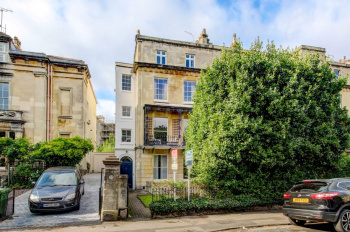 An elegant, bright and well-proportioned 2 double bedroom hall floor garden apartment, set within a fine grade II listed end terrace building with a section of private enclosed rear garden, situated 300 metres to Clifton Village. Maintaining a wealth of period features such as high ceilings, multi panelled sash windows with working shutters, cornicing and picture rails. Accommodation: entrance hallway, sitting room, kitchen, bedroom 1, bedroom 2, bathroom/wc. Outside: communal front garden, section of rear garden. A compact studio apartment with a separate kitchen area, located in an extremely popular central location just off Whiteladies Road and the Triangle. Circa 233 sq. ft/21 sq. 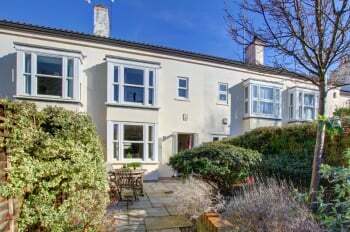 m.
Superb location close to the University campus and Clifton Triangle. Accommodation: entrance hallway, living area/bedroom, kitchen, shower room/wc. Communal outside space to the rear of the building.